A work of art is automatically protected by copyright law as soon as it is created, and you are not required to register the work with the U.S. Copyright Office to protect your work. However, registering the work with the U.S. Copyright Office does provide one main benefit—in the event you have to defend your copyright, registration provides an official date on the public record you can point to to justify your copyright-infringement claim. Moreover, you cannot file an infringement suit until your copyright is registered. If you ever need to take a case to court, think about how well you can demonstrate that you are the creator of the artwork in question. So, legally, how can you protect your art from copyright infringement? Go to the Library of Congress website and click on the electronic Copyright Office (eCO). Complete the eCO application.After you have familiarized yourself with the process, open the eCO portal and create an account. After doing so, click on "Register a New Claim" on the left-hand side of the welcome page, and follow the prompts to provide the necessary information for your copyright registration. As you complete the application, the steps on the left-hand side will get checked off. When all sections are checked, your application is ready to send. When you have entered and reviewed all information for accuracy, click "Add to Cart," The amount of your filing fee will be displayed on this window. Review the information, and then click "Checkout" to proceed to the payment step. Pay the fee. You have several options for payment. First, you can enter your bank-account information and transfer the required funds electronically. Alternatively, you can pay with a debit/credit card. To do this, you will be directed to Pay.gov, a website operated by the U.S. Treasury Department that handles payment to government agencies. Deposit a copy of your work. The final step in this process is to send in a copy of the work being registered to the U.S. Copyright Office. Generally, you may only deposit a copy through eCO for works that are either (1) unpublished or (2) published only electronically. After paying the fee, click "Continue." You can upload an electronic copy on the following screen. If you have to send in a physical copy of your work, click "Create Shipping Slip" on the bottom of this screen, print the slip, attach it to the parcel, and send it to the address listed on the slip. If you are unsure of the deposit requirements for your particular piece of work, contact the U.S. Copyright Office. Once the registrar’s office examines your application, they will send you an official certificate of registration. This serves as documented evidence of your copyright, which will also be filed online as a matter of public record. Get into the habit of digitally imaging your work. A picture is worth a thousand words – especially if someone is claiming that your work is their own. Having a digital library of your artwork will save you a lot of hassle in the event of copyright infringement, as you can present this record in court. The great thing about photographs is that their metadata often stores the date that the pictures were taken. A professional photographer can be used to ensure that two people have evidence to support any copyright infringement cases. Know which of your works is most at risk and focus your efforts there. You create a lot of art, so it’s important to focus your copyright protection efforts where it’s going to count. For instance, if you produce art that’s more abstract or conceptual (and thus more difficult to reproduce), then your risk of copyright infringement will be substantially lower. However, if you have pieces that contain creatures or characters that could conceivably be borrowed or replicated, or if you create images that are very iconic or have high mass market appeal, then you should always protect your work using the steps outlined above. Read the Terms and Conditions. Do you promote your artwork on Instagram? How about other social media websites? Recently, artist Richard Prince sold a series of other peoples’ Instagram photographs for up to $100,000. Though this seems like outright copyright infringement, there are actually many reasons why it’s in a legal gray-area. One thing you should know: these images would have been protected, if they had been registered federally with a copyright. Whenever you are posting your artwork to other websites, be sure to read the terms and conditions to determine what copyright protection your art has there. And, if you aren’t sure, putting a watermark on your images greatly decreases the likelihood somebody will steal it. Those above are all great safeguards that will prepare you well if you ever need to file a claim against a copyright infringement. 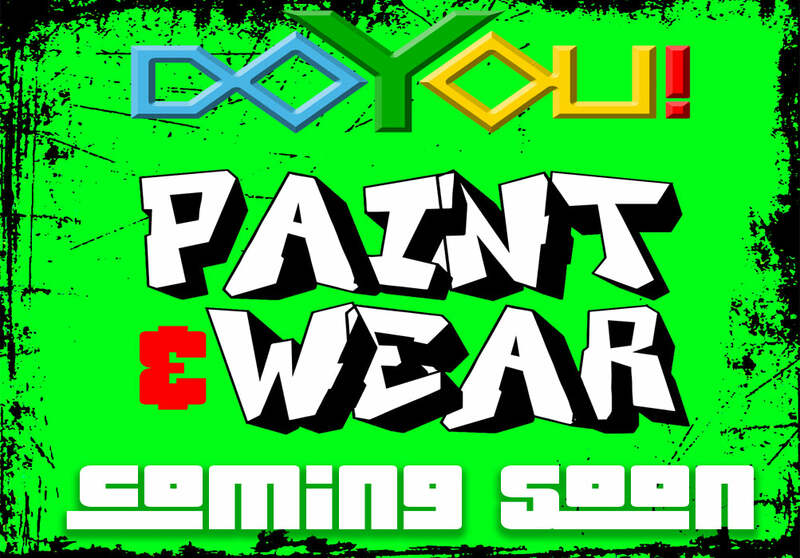 Are you an Artist wanting to start a clothing brand with your very own artwork? Let us help you achieve that! We specialize in all over sublimation printing on all types of apparel. Sign up below to get our easy steps on how to start your clothing brand with us. Yes, I want more information on Using My Artwork To Starting My Own Clothing Brand.